Filtertechnik recently announced that it will debut a new particle counting technique at the upcoming Reliable Plant Conference & Exhibition in Cleveland, Ohio, April 16-18, 2019. Designed to give insight into the type and quantity of contamination in an oil sample, the digital-imaging technology offers the ability to count particles from the images taken while also providing root cause shape recognition of particulate in live systems or oil bottle samples. Special algorithms and artificial intelligence (AI) analyze the images with a resolution of 2 microns up to several hundred microns. The images are taken between two and four frames per second. Particles are counted and categorized as fatigue, sliding or cutting wear. Air bubbles and water droplets are also counted and then eliminated from the counts, making the technique suitable for live testing or permanent installation on systems where air is present, such as large gearboxes. High-resolution images can be created for further analysis and reporting. The images, which measure 4 by 3 millimeters, can show particulate from 2 microns and larger. Algorithms measure the size and shape of the particles, with all calculations performed within the device. 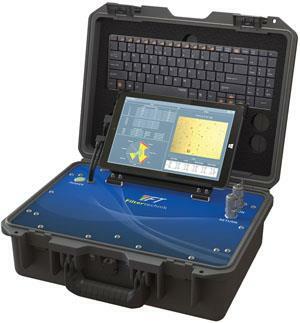 Filtertechnik has also developed a range of portable oil analysis cases to provide on-the-spot analysis. The built-in software takes readings from the digital-imaging technology and offers an easy-to-understand analysis. For more information, visit www.filtertechnik.co.uk.